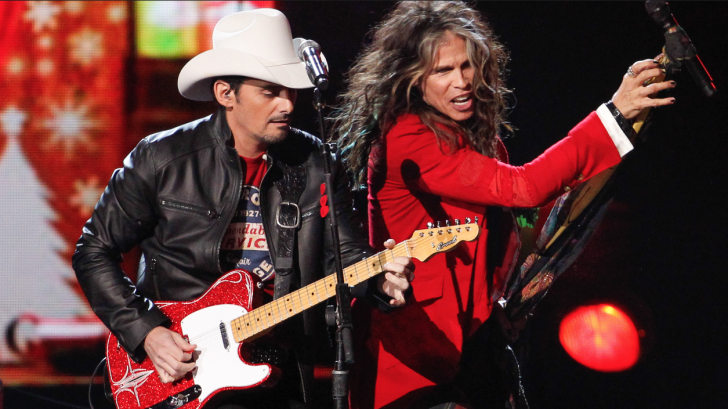 Steven Tyler and Christmas are two of our favorite things in the world – imagine our delight when we saw that the two were combined for this fantastic performance! 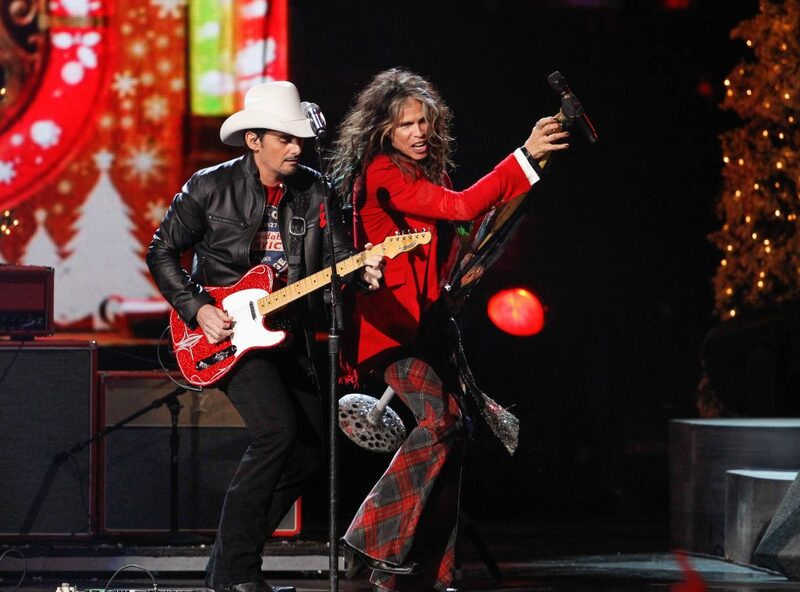 In honor of his first venture into the country world, Steven Tyler made a special appearance on CMA Country Christmas, where he joined country mega-star Brad Paisley for a spirited cover of Chuck Berry’s ‘Run Rudolph Run’; it’s so good that we plan on putting him on our Christmas lists this year! Steven’s in rare form; dancing around like a kid on Christmas morning beside Brad Paisley, who manages to perfectly blend his native country music flavor with Steven’s electric brand of rock and roll and at one point it’s actually hard to tell who’s having more fun – Steven, Brad, or the audience full to the rafters of people dancing and clapping along. Fun Fact: Chuck Berry wrote ‘Run Rudolph Run’ in 1958, and it’s one of the most covered Christmas songs in the world. 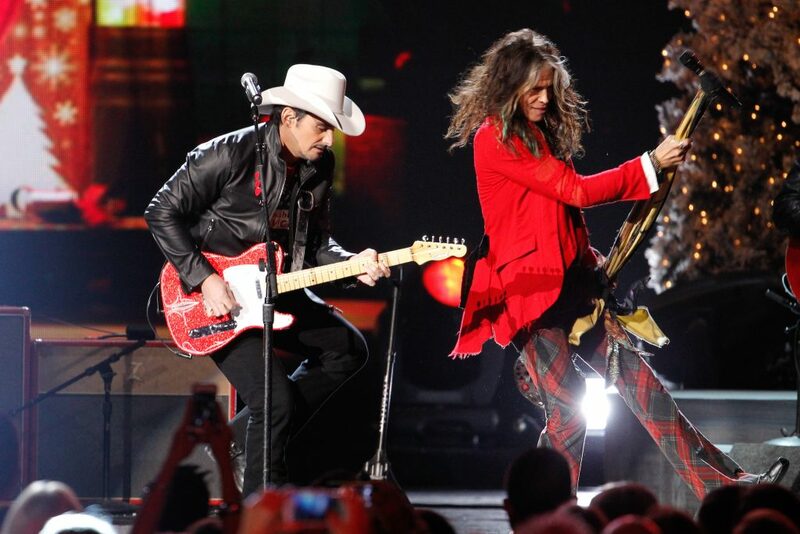 Despite this being a country music event, rock and roll was alive and well that night with ‘Run Rudolph Run’ – in fact, the only thing the performance was missing was Chuck Berry doing his signature duck walk across the stage, but Steven Tyler more than made up for it!